Are you aware that Sony has announced the best smartphones they ever manufactured? Yes it is the Xperia Z5 line ups. But how well the Xperia Z5 is, when compared with the Samsung's best title? In this article we will be going to compare the key differences between the Sony Xperia Z5 and the Samsung Galaxy S6. From this detailed comparison, lets see which device gives out the best features, Xperia Z5 from Sony or the Galaxy S6 from Samsung. 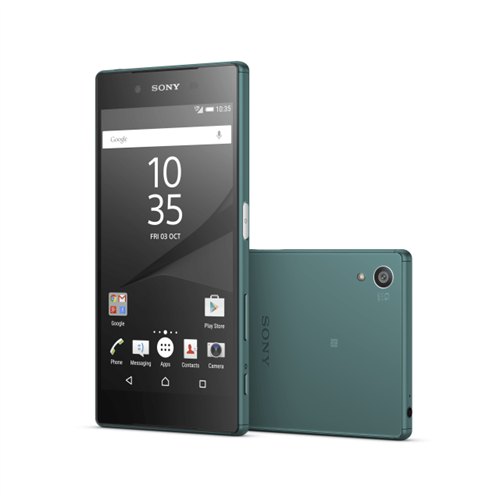 Recently at IFA 2015, Sony went ahead and announced three new devices; the Xperia Z5, Xperia Z5 Compact and Xperia Z5 Premium. Xperia Z5 is said to be the newest flagship from Sony. So how well it can perform when compared to the most popular Android device from Samsung, the Galaxy S6. Let's dig deeper through this full comparison between Xperia Z5 and Galaxy S6 and find out which device is better in various sections. Sony Xperia Z5 comes with dimensions 146x72x7.3 mm, where S6 delivers much more compactness with slightly less in overall size with dimensions 143.4x70.5x6.8 mm. The S6 being very thin at 6.8mm than Z5's 7.3mm thickness, it feels really great in hands. In terms of weight as well the Xperia Z5 comes in 16g more compared to the S6, where Z5 weighs 154g and S6 being 138g makes it more lighter too. In terms of the build, S6 has a metal frame with glass panels on the front and the back, now this has become a popular choice of the build materials for the Samsung and hopefully they have got away from the plastic. The new design definitely looks and feels very premium, but at the same time it does attract a lot of fingerprints. On the side of Xperia Z5, Sony has got the similar design language to what they had in previous month. Like that of Galaxy S6, Z5 also got a metal frame with glass panels on front and back, but the difference here is that the back panel is actually frosted glass so this should be a little better in terms of attracting fingerprints, as it wouldn't be as obvious as that of S6. One key thing you have on the Xperia Z5 is the IP 68 of water and dust resistant, however this is a common thing that we used to see from the Xperia line at the same time a very useful feature and this is a big advantage that you have got on the Xperia Z5. Another thing to mention about is that the S6 is available in an edge variant, so there is dual edges and this is a very unique design. For those who are into the looks of a device, then going for S6 Edge will their best choice. Talking about the display, Galaxy S6 delivers a 5.1-inch super AMOLED display whereas Xperia Z5 has got a 5.2-inches triluminous display which is slightly larger, but this differences in size may not be readily noticeable. There is also difference in resolution as well, where S6 comes with a Quad-HD display which is 2560 x 1440 pixels, delivering roughly about 577 ppi of pixel density. This makes the S6 one of the best displays on any mobile device released this, with very high pixel density and sharpness. On the other hand, the Xperia Z5 delivers a full HD display which is 1920 x 1080 pixels delivering 428 ppi of pixel density. But absent of QHD display is not a bad thing in Xperia Z5, since it offers high pixel density and a nice resolution at that screen size, but still S6 gets the edge here in terms of the display resolution. Now looking forward into under the hood of these devices, let's see what is powering them. 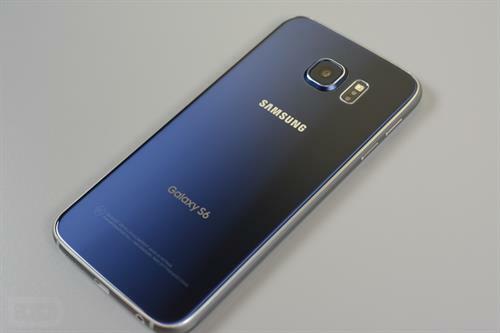 In terms of hardware, Galaxy S6 is powered with an excellent 64-bit Exynos 7420 octa-core processor. The Z5, on other hand, comes with a same octa-core 64-bit processor but powered by a Snapdragon 810 chipset. For the smooth performance, both these devices has got a 3GB of RAM. In terms of storage options, S6 comes with a 32/64/128 GB versions, being at different prices, but you will not get the expandable option via microSD card. This gives a major disappoint for the Samsung fans, especially when the expandable feature once was the pride of Samsung when being taken out from S6. On the Xperia Z5 you have got only the 32GB version, but the expandable storage via microSD card up to 200 GB attracts customers in owning the device. This is really big advantage of Z5 compared to that of S6. On both the devices you will be getting Android 5.1.1 Lollipop along with TouchWiz UI on Galaxy S6. Whereas you will be getting Sony's own skin in Xperia Z5. Sony UI is not as intrusive as TouchWiz, however TouchWiz has improved a lot with lots of additional features such as multi-window which many of the users find extremely useful. But it will be according to your personal preference that which skin you like more. In terms of the additional features that both the devices are holding, both these devices has fingerprint scanners, where their position differs. S6 has its fingerprint scanner in the home button which is pretty well and accurate. S6 also been added with big improvements compared with previous Samsung devices. You also have integration with Samsung Pay, which is yet to come and become fully available. Xperia Z5 has its fingerprint scanner on the right-hand-side on top of the power button, which is bit unique as we haven't see any devices do that. Either we see such scanners on top of home button or at the back of the device. Also the S6 comes with a built-in heart rate sensor, that has already became popular with previous Samsung devices. This will be a great advantage for those who always needs to keep an eye on their heart rates. On the other hand, Sony Xperia Z5 also holds some interesting features such as the Hi-Res Audio and DNC support. The device comes with a front-facing stereo speakers, which is better than Samsung's bottom facing speakers. The Z5 also comes with PS4 Remote Play which is beneficial for those having a Sony PlayStation 4 by which they can use their Z5 as remote controlled dual shock. Talking about the cameras, they are becoming more key in terms of Android devices. Even the low-end smartphones are equipped with mind-blowing camera specs. On the Galaxy S6 we could find a 16 MP camera with optical image stabilization over the rear side of the device. In terms of smartphone cameras, the one that S6 is holding is one of the best cameras out there right now. The shots taken on S6 have got super sharp detail, very crisp, better low light performance and much more. The camera sensor equipped in S6 has taken over to the Note 5, so imagine how powerful will the S6 camera be. Whereas on Xperia Z5, you have got a 23MP rear camera with steady shot, but as of now there is no information whether the Z5 comes with an optical image stabilization or not. When talking about the steady shot, it is a software stabilization which will definitely help while taking shots. The key feature that the Z5's camera has is the Hybrid AF, which is the fastest autofocus on any smartphone out there, where Sony is claiming 0.03 seconds autofocus, which is absolutely insane. As various smartphone manufacturers are launching their devices with Sony sensors, you can absolutely believe that Sony can do a great job with the sensors. Moreover, the Z5 also comes with a Clear Image Zoom technology, claiming that you can zoom up to five times and still not loose any quality in that 23MP sensor. In terms of video shooting capability both the Xperia Z5 as well as the Galaxy S6 supports 4K UHD capturing which is at 2160p. Also both the devices has got a front-facing camera that are at 5MP and will definitely deliver all the features that you are looking for, in a selfie camera. Moving on to the batteries, Galaxy S6 gives a non-removable 2550 mAh battery with Adaptive Fast Charging. But the battery is not something great when it comes to delivering long-life juice for the performance, however Samsung had added wireless charging support for the Galaxy S6 which is something that is not available for the Xperia Z5. With Z5, you have got a 2900 mAh battery, which is too non-accessible through a non-removable back panel. For fast charging, Sony has given Quick Charge 2.0, by which the device is going to get a quick top up when needed. Samsung Galaxy S6 is readily available at your nearest retailer shop and is priced at around Rs 38,000. 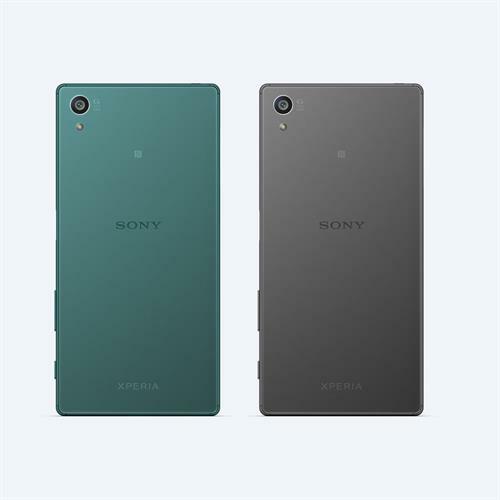 But talking about the Xperia Z5, there was no official information from Sony regarding the releasing status, however you can expect the device to be rolling out worldwide starting from October 2015. Also the pricing of Xperia Z5 has not yet been confirmed, all you can expect is the standard flagship prices which may come roughly around Rs 45,000. Both the devices Xperia Z5 and Galaxy S6 from two leading smartphone manufactures Sony and Samsung respectively are offering some great features. Both have their advantages and disadvantages. In some fields, especially when it comes to display, Samsung Galaxy S6 wins the battle, but in some other field Sony Xperia Z5 comes in front. Some unique features of Z5 like water and dust resistant, Hi-Res Audio, better front-firing stereo speakers, amazing battery life etc might be advantageous for you if you are really into that sort of things. 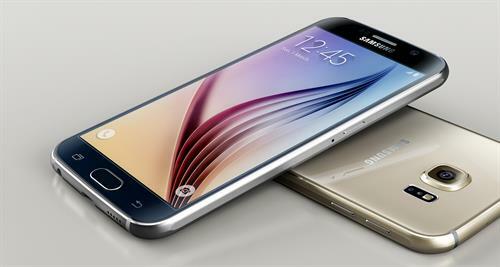 Whereas if you are looking for better display, sleek UI and slightly compact design, then Galaxy S6 will be the right device for you. Finally it is up to your taste that determines who is the really winner in this battle. Samsung has always been a leader when it comes to providing better displays. I have not seen any other manufacturer being able to beat them. Sony works great with the camera sensors and audio, but the Snapdragon processors have been observed to have heat issues of late. Hopefully, Xperia Z5 does not suffer from this issue. Let us wait for the observations from the ground level users to get a clear idea.